MPEG. Everyone talks about it like they know what they’re talking about. They talk about MPEG-2, MPEG-4, and all the compression technology, but do you know what MPEG really is? MPEG is an acronym for Moving Picture Experts Group. It’s a group that was formed in 1988 by the International Standards Organization (ISO) to try to create standards for digital video. In 1988 there weren’t really any computers powerful enough to show full-screen video, so this was a pretty forward-thinking group! MPEG created standards for video and audio that permeate our society today. They are literally everywhere. The original standard, called MPEG-1, isn’t used for video much any more, but there’s no doubt that you still use part of it… the engineers called it MPEG-1 Layer III transport content, but you know it as an MP3 file. That’s right, without these folks, the digital music revolution wouldn’t have happened. MPEG-2 was adopted by the US and other countries for digital broadcasting. It allows for high-definition TV and Dolby Digital audio through the use of compression techniques. It was a really advanced thing for its day because it allowed broadcasters to fine-tune the level of quality they wanted in comparison to the file size they wanted to use. MPEG-3… was kind of a bust. The folks at MPEG realized it wasn’t needed, so they moved onto MPEG-4. 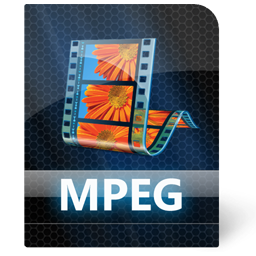 MPEG-4 forms the basis of almost all content delivery today. It’s a very flexible framework that allows for different forms of compression (much more advanced than MPEG-2) and much better audio. It also allows for 3D and computer graphics to be added. MPEG-4 is the technology under Apple’s iTunes content, Windows Media, Blu-ray disc, and most streaming video technologies. It’s flexible enough to handle 4K or any other technology in the near future. There are other MPEG formats but they aren’t designed for regular users… MPEG-4 is good enough for now. Could you even do the entire DIRECTV experience over the internet?